We left the house very early last Saturday, May 19, 2012 to go to ADB Clinic to get our annual flu shot. We didn’t have anything planned afterwards, but we wanted to go somewhere different but near, a place that will keep the little boy preoccupied. This was also his reward for not crying while getting his flu vaccine. The little boy couldn’t contain his excitement when we told him we’re going to Fun Ranch. He fished, rode a bumper car, ate cotton candy, played mini golf, raced, and had his picture taken (with Mommy) at the wishing well. He caught a lot of fish. He actually mastered this skill already because he’s doing the same at Whiz Minds CAMP. He was supposed to receive a gift item for having caught the most number of fish, but the one who’s giving the prize wasn’t around yet. 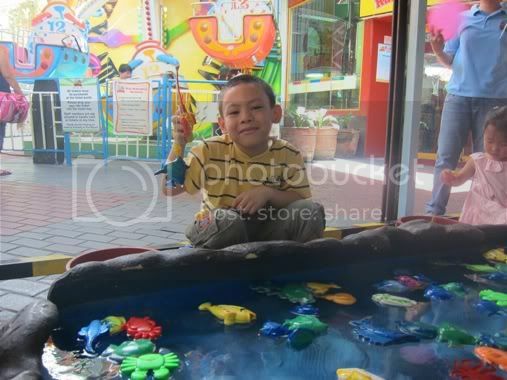 He didn’t like the loud music of this bumper car. 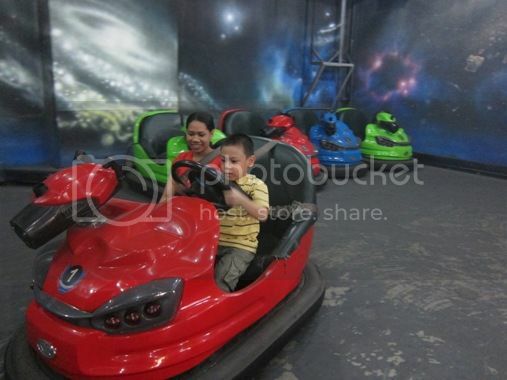 Only when he discovered that he could switch off the loud sound did he enjoy his bumper car ride. 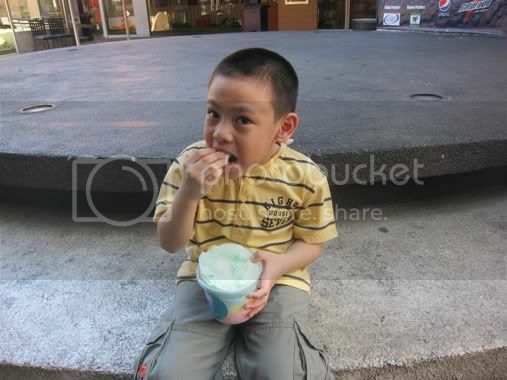 He liked to eat everything, but I forbid him to, knowing that cotton candy is too sweet. Would you believe it took him 3 days to finish this small plastic container of cotton candy? Blame it on this strict Mommy! Lol! This was a bit expensive, Php100.00 for 20 minutes. He actually finished all 9 holes in less than 10 minutes, and he was bored already. This was what he liked the most! Red was his choice of color for his race car. 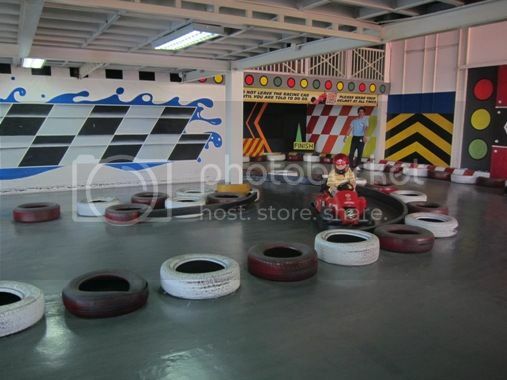 He actually wanted to race with other kids, but he was the only one there when we bought his tickets. Having an imaginative mind, I was sure my son was wondering if the red car he’s riding uses Ingersoll rand air compressors. 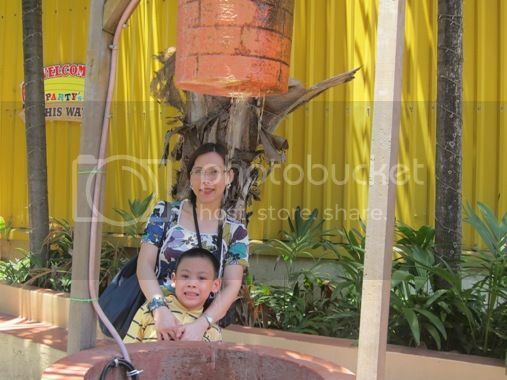 Finally, after several requests, the little boy agreed to have our picture taken at the wishing well. The little boy truly enjoyed this day despite the sweltering heat. I also like days like this when I’m not thinking about work, family expenses, or whatnot. This is what I call living in the moment. 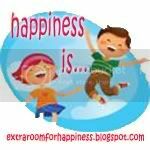 This entry was posted in Fishing, Formula Racing, Fun Day, Fun Ranch, Happiness Is..., Mini Golf, Mommy Moments, Wishing Well. Bookmark the permalink. 8 Responses to Fun Day at Fun Ranch! our boys are really growing, we now need to make several requests before they pose for a picture with us…haynaku, time flies really fast! 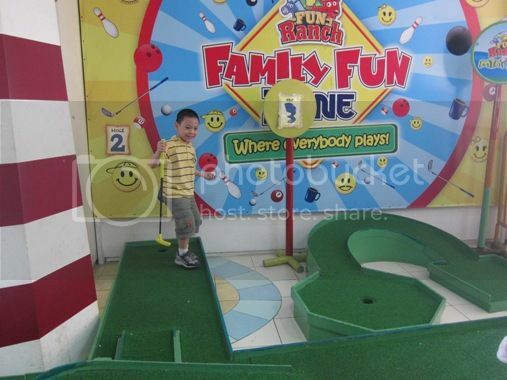 Your fun getaway with your son just makes me excited when my tot already grows up like him. Cotton candy is so attractive to kids. Glad you ended up with something fun when you didn’t plan anything after an appointment. ← Visiting My Friendly Neighborhood Cardiologist!